Young female with fiber from her nose to her toes. Bay Black, with black nose, ears and feet. Eye catching to visitors. Very friendly and curious just like her mother. Conformationally correct with fine, dense fiber. Always looking to impress the boys. 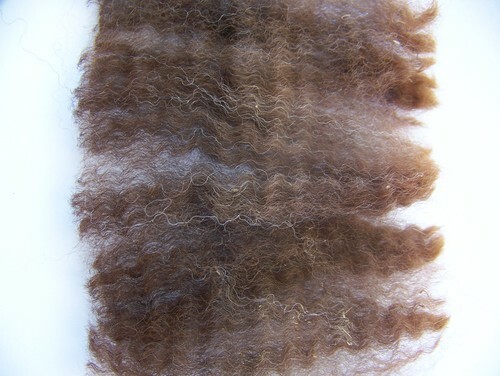 Grandson of Snowmass Peruvian Lakota, Wooly is conformationally correct with dense, crimpy fleece. He's beautifully even throughout his blanket with even more grey in his neck. With grey in his background, we are eager to see if he will throw his beautiful color to his offspring. Wooly has a small frame with solid bone structure. Terms are negotiable and dependent upon purchase. Standard industry contracts are used. 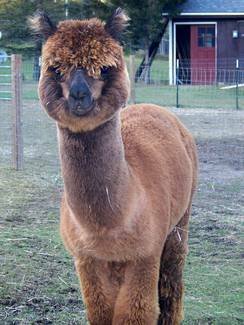 Breeding quality alpacas come with reproductive and live birth guarantees, & 90 day free board. 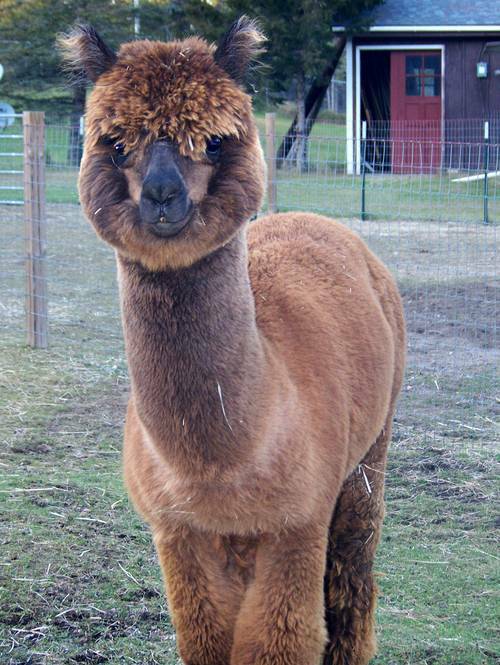 You may take possession of your alpacas once the down payment is received and the “contract for purchase” signed by both parties. 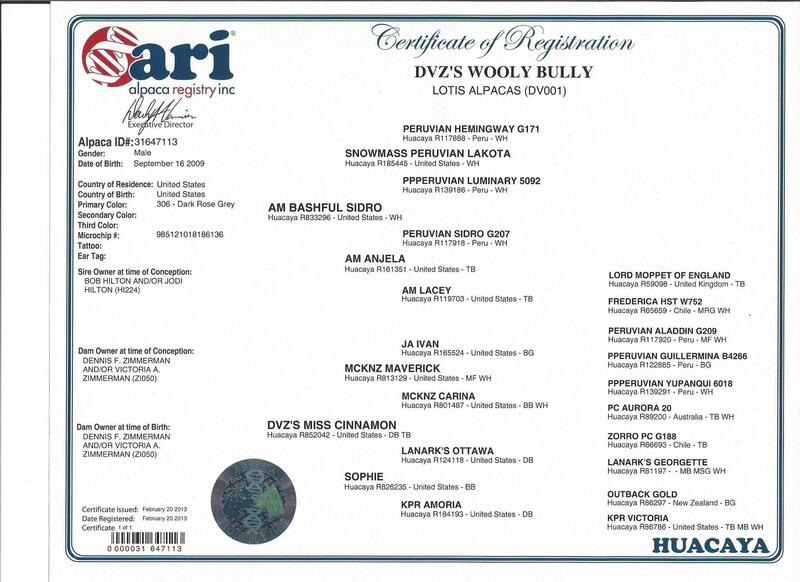 Transfer of ownership with ARI will not occur until full payment is received. One year free financing on purchases over $5000.00 with 25% down payment to qualified buyers. 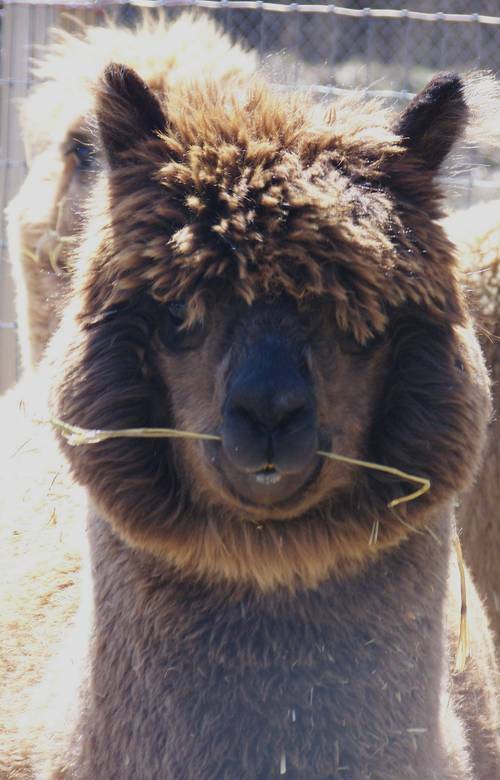 Buyer must purchase full mortality insurance for alpaca and offspring, if any, naming Lotis Alpacas as beneficiary on balance due until paid in full.